If anyone wishes to contribute any stories about this time please use the email facility in the status bar at the bottom right hand of this page. During the Second World War both Italian and German prisoners of war were based in St Erth although as a small camp it does not appear to have been "officially" recorded. While here the Italians built the "hut" shown in the picture opposite together with those of the "field" where the camp was. Some details of its history and photographs of how it looked collated by Mycetes from the collection of the late Russell Webber are here. A more recent slideshow some years after the demolition of the buildings produced by Phill Had is available for viewing here. St Erth played a major role in spying on the enemy through listening in to messages, pinpointing where they were coming from and reporting back to Hut 6 at Bletchley. There is an excellent slideshow with accompanyin g WWII music on you tube which can be viewed here. Below is a photograph, courtesy of Mike Griffiths whose father was an operator at St Erth, taken in March 1946 outside the station of the operators. Mike has carried out a great deal of research on this and has given talks in St Erth which were extremely interesting and informative. He has also kindly supplied all of the following data below which is very much appreciated. St Erth Radio Station was Ultra Secret and an important part of a network of sites scattered across the UK. Its main role was to intercept and listen to the radio messages of the Abwehr (the German Secret Service). These radio signals were sent, using the Enigma machine, in a 5 letter coded format. The intercepted codes were telegraphed to Arkley Hall, sorted then on to Bletchley Park (the Government Code and Cypher School), for decryption. The main Radio Station site was situated about a mile out of the village at the ‘top of the hill’. Preliminary building work began in 1938 and by 1939 radio operators and other technical staff started arriving from around the country. As the war effort grew, a second site was established at Mably Farm near Townsend. It consisted of a 6m dia. steel ‘tank’ that was buried underground to avoid aerial detection. The station was run initially by the Post Office for MI8 but early in the war MI6 took over and an umbrella organisation called the Radio Security Service (RSS) ran the station at the two sites until the end of hostilities. Over a 100 people worked around the clock throughout the war. Mike has also donated data regarding the German Secret Service and the German and Italian Navy. Please use the linked text above to open the pdf files. If you would like further information Mike Griffiths would be happy to be contacted using this email link. This story has been submitted to the website by BBC CSV Producer Nina Davey on behalf of the author Edna Hocking. The author understands the site's terms and conditions. In 1941/42 I lived on Tregethas Farm, St Erth. At 10.30 one night we heard the collision of two planes. Two Spitfires had crashed and fallen into the field of the next farm called Frythens. I've no idea how this crash occurred. Both pilots were killed and their bodies put in the barn overnight. It was awful and the police were out in the dark looking for parts of the bodies. The next day a Lancaster Bomber dropped on one of the hedges of our field. I've no idea how this happened either, fortunately the pilot wasn't killed. I remember they had a pigeon on board in case they had to send a message back to base. 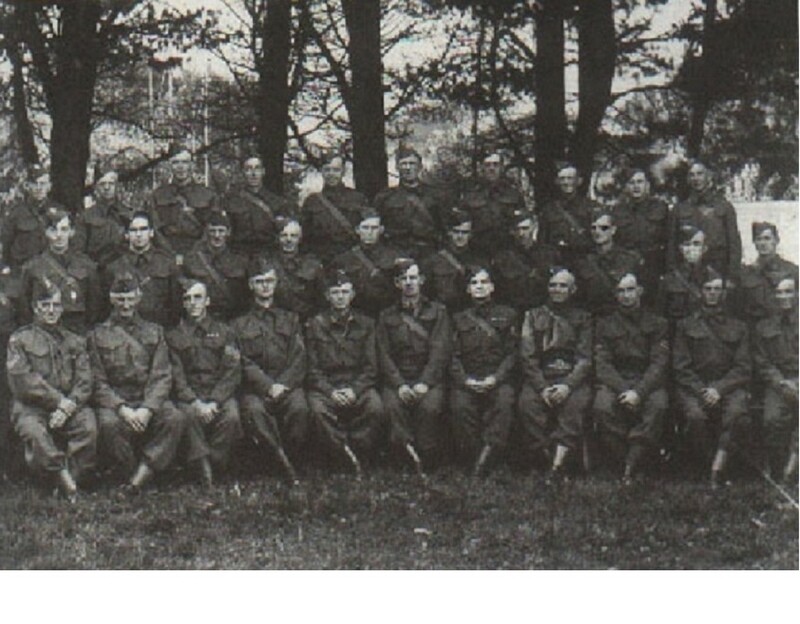 We had Prison of War Camps at St Erth with Italians and Germans and they worked on the farms around. One of them is still here, he never went back or married. he's called John the German. All the POWs were very nice, Rudi Mott was one of them, he was German. He bought a farm with daffodils and chickens and lives at Crowan, Praze he turned the old railway station into a bungalow. Correction: Rudi's surname was Mock not Mott as transcribed above, his interesting autobiograph is entitled A Cornish Rhapsody: From a Penny Halfpenny an Hour to a Fortune. 2155 hours Supermarine Spitfire Vc AB496 LZ-? of 66 Squadron at RAF Portreath crashed into a field at Trevissa Farm, 1¼ miles from St Erth Police house. The aircraft was smashed and burnt-out the pilot was killed after colliding with AB462 during night flying practice. 2155hrsSupermarine Spitfire Vc AB462 LZ-W of 66 Squadron at RAF Portreath crashed into a field at Frithen Farm, 1½ miles SW of St Erth Police house. The aircraft was smashed and burnt-out the pilot was killed.